James Knox is part of the next wave of climbing stars. The 23-year-old Englishman hails from the north-west of the country, a place that has lots of lumps and bumps. 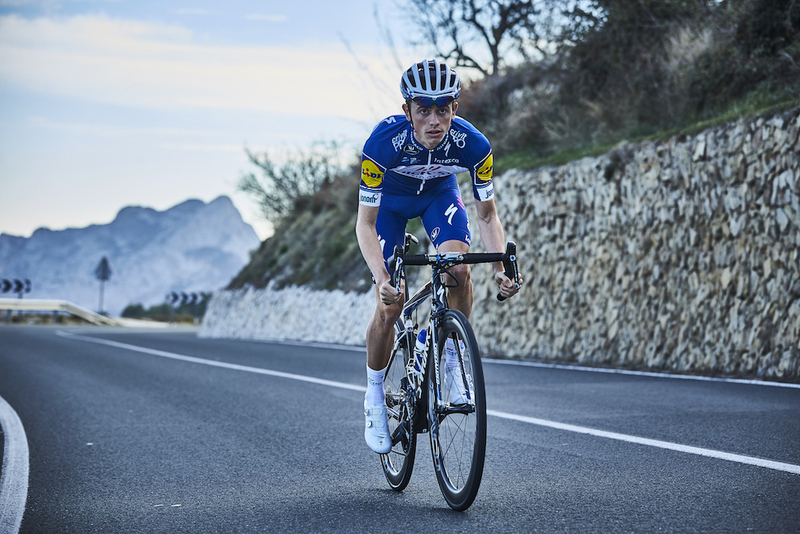 He’s just completed his first season riding for Quick-Step, a year that was mainly about making the transition from talented under 23 to an elite cyclist, something that didn’t seem possible back in the 2014 edition of Giro Valle D’Aosta. James didn’t follow a usual path, he stayed on at school to complete his qualifications, before looking to focus on cycling. “My Mum and Dad had me and my brother trying out as many sports as possible when we were young, I fell into running and Jonny, a couple years older, into cycling. I was half decent at running, cross country and fell running was my thing and I was even a national champion a few times, but became more of a fan of cycling from my brother. Especially the extra dynamics of the sport and even the mystery surrounding it all compared to running. I’d still ridden bikes a bit, it was a family activity, and it was easy for me to get into having my brother and dad basically done all the junior races already when I started at 15/16. Obviously, I wasn’t expecting much, it was a serious shock to get to a level to ride for GB juniors in my second season racing, but still didn’t consider it really going anywhere beyond delaying University for a bit. As a November born, I had to finish my A-levels during my first year senior, and thankfully Flavio Zappi was happy to let me stay at home and not really race until that was done in June, and that was the deal with my parents basically, I could do what I wanted, as long as I got those under my belt. Biochemistry at Sheffield University was my plan, I guess I always imagined I’d just end up at university, but it wasn’t a big deal at the time. After not much discussion, I deferred my place to join Zappi’s, you can go to university whenever but making that pathway as a cyclist is a very limited window, even as an 18-year-old and not much ambition, that was clear. I deferred my place at Sheffield every season as an under 23, not ever being sure if I’d have to go back to it and it’s still there if I need it, I would maybe have to consider doing an easier course now mind you, think 5 years outside of the education system has slowed me down a fair bit. So, James ended up riding in Italy under the watchful eye of Flavio Zappi. After a couple of seasons learning and developing, the opportunity to join Team Wiggins presented itself. The team had only been created the previous year and their goal is to help develop the best British cycling has to offer. During this period is when people started to take notice of this up and coming climber. We all know what cycling is like, everyone is keen to find the next big thing and rumours started to circulate about this exceptional climber from the north. Looking back, his first year with Team Wiggins wasn’t a bed of roses, there were a few good results but nothing to start jumping up and down about. It’s the learning that interests me the most. As young cyclists, there isn’t a rule book to follow. Everyone makes mistakes, but the difference is that some learn from these mistakes. James now had an idea of what not to do and changed his approach in 2017. Now in his final season as an under 23, we started to see consistently strong results and his stock started to rise. 2nd place in LBL was an enormous result for James, of course it was frustrating not to win, but these are the results that grab the attention of pro teams. Riders in their final season at this level are all in the same position, they are fighting for their future. If no contract comes, the dream of being a professional cyclist is over. Alternatively, have a good season and you get to progress to the next level and see if riding a bike for a living can actually become reality. After LBL, James just had two days before he started the Tour of Croatia. It’s not often under 23 riders get to compete in such a race, Team Wiggins did a great job getting an invite. On the start line was Vincenzo Nibali, this was his final preparation race before the Giro d’Italia. James ended the race in 8th place on GC, losing the white jersey by just 4 seconds, it was a brilliant result for him and one that impressed many. The good form didn’t stop there, he was 5th in Ronde de l’Isard, 8th in Giro Mont Blanc and 6th in Tour Alsace, but there wasn’t an offer of a contract. “I was getting nervous, after LBL and Croatia I think I just expected to start hearing from teams, but that’s not really how the market works. I was the last piece of the puzzle, get all the big hitters sorted then worry about the small fry. A couple of rides! James is being rather modest, he was 2nd in the Queen stage and 8th on GC at the end of the week. He had confirmed what many already knew, he was ready to make the step into the professional ranks, but when did he actually get the news of the Quick-Step deal? Realised they were making a mistake? This is typical of James, such a level-headed young man. Being a keen student of cycling, James was well aware of the stars he was about to be riding with, I can only imagine what the nerves would have been like. First race for his new team was in Abu Dhabi, not a race for a climber! Quick-Step arrived with a team built around Viviani. The Italian had started the season in sparkling form, already taking wins in the Tour Down Under and Dubai Tour, which meant that Quick-Step were going to get little help in controlling the race. They didn’t have their usual breakaway killers, so turned to a skinny little climber! Despite his success, I think Tim Declercq can sleep easy! There was no easing James into the season, his next races were Catalunya and Pais Vasco, two of the hardest stage races in the calendar. This is the point where the first-year pros tend to get a big shock. I’ve interviewed many riders and most have told me how worried they were after these races. They come from being the best in the under 23 races and suddenly find it difficult to even move up the peloton, most leave these races with a little dent in their confidence. I’ll skip forward to June and James is in the squad for the Dauphiné, a race that suits him fine. This is where he can show himself in the mountains, helping his team leaders, Bob Jungels and Julian Alaphilippe. Unfortunately, we have a TTT before that point. We all know how strong Quick-Step are in this discipline, just imagine lining up beside Niki Terpstra! The Belgians had some enormous power in the squad for this stage, but how would their little climber get on? The good news is that things tend to get better! Those early months are all about learning and improving. Once in the professional ranks for a while, the legs start to adjust, and performances start to improve. Riding for Quick-Step meant that James was learning the ropes as a domestique, but that changed when they sent a young team to the Tour de Fjords. Tour de Wallonie was when things started to click. Quick-Step, again arrived with a young squad, all of whom were given the chance to attack. James might be from England, but he seems to love Belgian roads and a big performance was just around the corner. James finished the race 6th on GC, a result that brought some confidence. He was very aggressive in the last few stages, constantly looking to attack and seeing if he could put some pressure on Tim Wellens, but the Belgian was enjoying a fine period of form and was unbeatable. Despite this, the confidence taken from his performance certainly helped in the next few races. After just a couple of days off, James was back on a plane and heading towards San Sebastián, for one of the biggest one-day races in the calendar. The day was a great one for Quick-Step, with Alaphilippe continuing his amazing run of form. As for James, he sprinted to a top 20 result, a very fine debut in this beautiful race. Having closely watched him all season, I could sense something had changed. Maybe he was a little stronger after 8 months riding against the best, maybe he had gained some crucial confidence or maybe he was just fed up getting his arse kicked! A switch had been flicked and the promise that he had shown in 2017 was now starting to reveal itself at the highest level. The next opportunity to shine came in Canada. When he started 2018, I bet you James didn’t even dream of the World Championships. It is very unusual for a neo-pro to get the opportunity to represent their country in such an event, but this is exactly what happened at the end of September. The kid from Kendall was on the start line in his national kit. Despite racing since February, there was still one race left in the legs and James headed off to the Tour of Turkey. This was a race that really suited him, with a short, punchy climb likely to settle the GC. Unfortunately, he ended up the wrong side of Gaviria’s crash in the opening stage and couldn’t challenge for the leader’s jersey. However, a 4th place finish in the Queen stage was a great sign of what we can expect in 2019. 2018 was a season full of learning for James. The opening months were very challenging, but he managed to make his mark towards the end of the year. I asked him if he was where he thought he would be at the end of 2018? Away from racing his bike, James has now lived in Girona for a number of years. 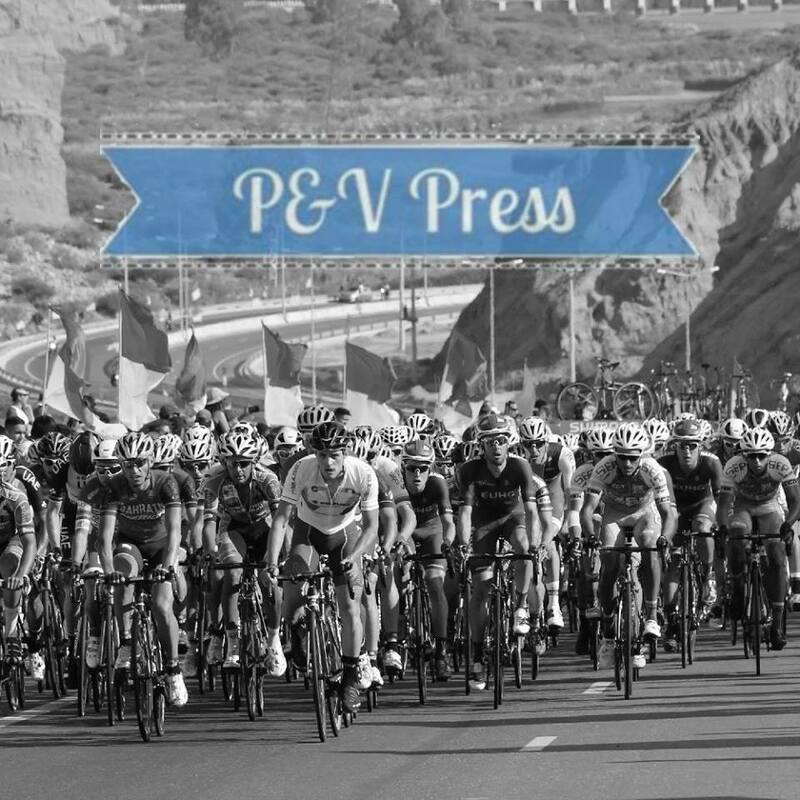 For those that don’t know, it is a mecca for cyclists all over the world and a huge number of the pro peloton call it home. “I’m comfortable in Girona and I feel at home. I need a bit of work with the languages it’s unfortunately always been a weakness of mine, but the Spanish is improving slowly. My Catalan is non-existent beyond basic words. Getting out the UK and moving to Girona was probably most significant because it was a huge commitment to cycling, I wasn’t there to have a laugh and hang out with cycling. It meant I was moving out of my parents’ house and focusing my life into cycling, that beyond the weather, nice roads and guys to train with has been the most important thing about it. I’m a bit more relaxed about it now, but I think it’s still the right attitude to have. I think that James’ honesty has given us a great insight into the trials and tribulations faced by the vast majority of young cyclists. From the tough beginnings in Catalunya, to the promising end in Turkey, it’s been a year he won’t forget. As he moves into next season, he will apply the lessons he has learned and become an even better cyclist. Keep an eye out for him in 2019, he’s certainly a rider to watch!